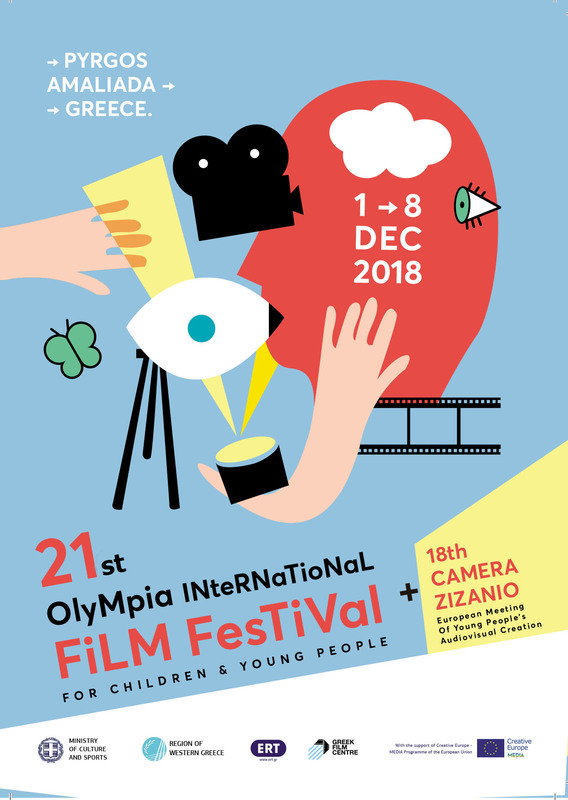 As all activities of the 15th Camera Zizanio and the 18th Olympia International Film Festival for Children and Young People (organized from November 28 to December 17) were completed, we would like to address our thanks to all who contributed to this successful event. This is not a typical expression of gratitude. Everyone knows the conditions under whichwe work are the most unpropitious. But in spite of the times, thanks to the warm support of our friends we achieved to organize a very successful festival. With screenings in more than 10 cities in the region of Western Greece and Athens, theatres filled with thousands of spectators, with 20 film workshops and numerous parallel events. The further recognition of the value of our work came with the establishment of two moresignificant awards from official organizations: the award given by the Greek Parliament to a film in Olympia Festival and the award given by the Educational Television of the Ministry of Education to a film in Camera Zizanio. For all this, we would like to thank our friends from Greece and abroad, children, educators, festival organizers who have trusted their films. And especially all those who made the long journey to Pyrgos to join us at this great feast of the young audiovisual creation. Thanks to all old “Zizania” that came to help from distant places – even from abroad, the professionals who run the film workshops, tens of volunteers, associations and individuals who have enriched our celebrations with their offer and have proved that during those difficult times solidarity is our strongest weapon. Nowadays that humanity is tested, solidarity is the most valuable thing. In Greece, more than everywhere else, we experience the drama of the refugee people trying to escape from death. We see misery all around us. But we’re more optimistic that we’ll succeed. Festival’s success is a conquest showing us that we can achieve even more by struggling against all odds, as we’re walking towards the future through incompatible paths and with faith in youthful creation that has visionsand goals. We wish you a Happy Holiday and a New Year with beams of hope.